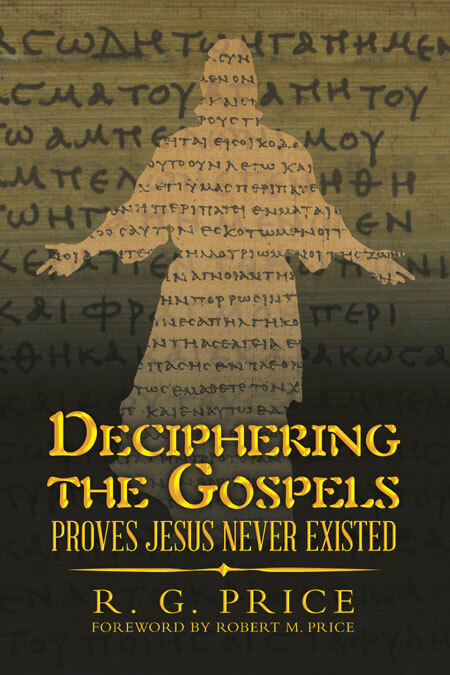 Following the positive response to Deciphering the Gospels Proves Jesus Never Existed I have made some additional updates to the book to further strengthen the material. I am also pleased and humbled to announce that the venerable scholar and champion of modern “mythicism”, Robert M. Price (no relation), was kind enough to pen a foreword for my book. The second edition of book is now available via the rationalrevoltion.net store and other major retailers, includng Amazon. Some retailers may still show the cover and previews from the first edition, but any orders will be filled with the second edition.Highlights from the 2nd edition can be previewed by clicking on the cover image below.